Industry 4.0 might sound like the newest iteration of a SimCity-style tycoon game, but it’s really the biggest shift to hit global manufacturing since automation. Centered around advanced robotics and automation, new ways of human-machine interaction (such as augmented reality) and vast troves of data and boosted connectivity, Industry 4.0 is poised to modernize manufacturing and boost western industrial competitiveness. Coupled with the emerging Internet of Things (IoT), Industry 4.0 offers manufacturers the ability to collect, analyze and act on immense stockpiles of data like never before, and then set those actions in motion with highly efficient, automated robotics. The result? A higher quality product at a lower operating expense. Industry 4.0 – shorthand for the maturation of digital technology within the manufacturing industry – is the marriage of IT and manufacturing operations. Mark Holleran, CEO of Xplore Technologies, says it represents a “holistic shift from centralized to decentralized manufacturing,” which requires the adaptation of processes, talent, business structure and technology. “Technology, including advanced robotics and artificial intelligence, sophisticated sensors, cloud computing, the Internet of Things, data capture and analytics, and digital fabrication (including 3D printing) are all coalescing into the ushering in of this next industrial revolution,” Holleran told Business News Daily. 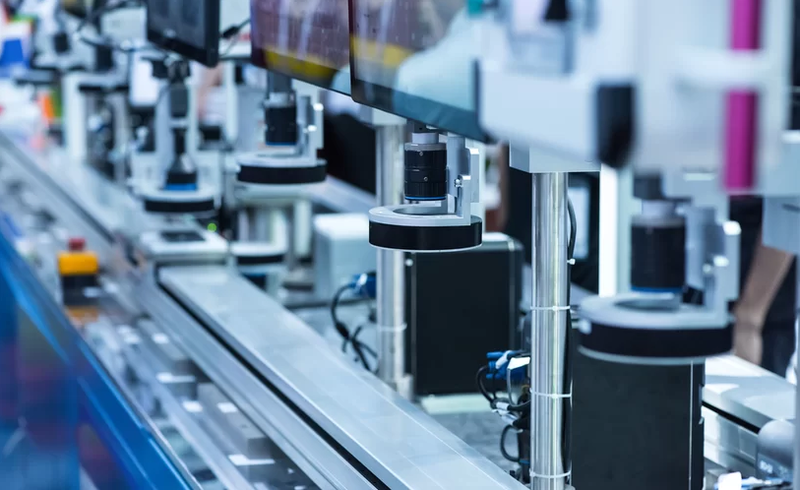 IoT plays a particular role in connecting the advanced devices and data processes that are more commonly implemented in modern manufacturing. Declan Keir-Saks, director of Deskera, said IoT is the bridge that allows the granular insights provided by high tech solutions to join together into a coherent, enterprise-level picture. As the number of smart devices and amount of data captured, analyzed, and stored grows, connectivity and communication will only become more important. Both within the enterprise and to third-party partners, companies will need their data to be shareable and compatible to enable a higher level of operation. “IoT makes connectivity omnipresent, and the communication infrastructure will keep up with the growing connectivity needs,” Keir-Saks added. When implemented correctly, decision-makers will be equipped with more and better information, automated processes, and the ability to intervene on a predictive or preventive basis to avoid downtime or any other issues that might ding production output. With such immense promise and cutting edge technology, Industry 4.0 requires a major upfront investment. According to a 2017 survey of 1,000 small and mid-size Canadian manufacturers, for example, digital adopters invested an average of $250,000. For larger businesses, the cost would inevitably be higher. But the expected payoff – connected, smart devices and an automated production process – promises a major return on investment. Increased productivity. Automation, analytics and machine-learning algorithms have taken much of the step-by-step work out of the hands of human operators. That means quicker, more efficient production around the clock, with human operators primarily monitoring and maintaining systems. Increased revenue and profitability. The promise of return on upfront technology investments is enticing. Industry 4.0 not only creates a more efficient and higher quality production process, but it enables things like predictive and preventive maintenance and upgrades, which results in lower downtime and less capital expenditure over time. Manufacturing process optimization. With more connectivity, shared data and better analytics, closer collaboration along the entire supply chain becomes possible, which could lead to increased efficiency, optimization and innovation in the long run across the manufacturing industry. “Machine-to-machine communications and integrated systems will drive greater collaboration among producers, suppliers and other stakeholders along the value chain,” Ramaswami said. Seamless record-keeping and traceability. The immense capture and analysis of data also means better record archiving and search capabilities. This has ramifications from government regulatory compliance to customer satisfaction. Despite these advantages, the shift is still in the early stage. According to research from Capgemini, only 6 percent of manufacturers are considered “digital masters,” or those that have reached an advanced stage in digitizing the production process. That means competitive advantage is still up for grabs, rather than implementation becoming an imperative to merely remain competitive. Still, the movement is real; Capgemini estimates that 76 percent of manufacturers already have a smart factory initiative in the works or currently under formulation. What is clear is that Industry 4.0 and advanced digital technologies will soon become the norm for manufacturing worldwide. Those that adopt early on have a better chance to position themselves favorably in the future.